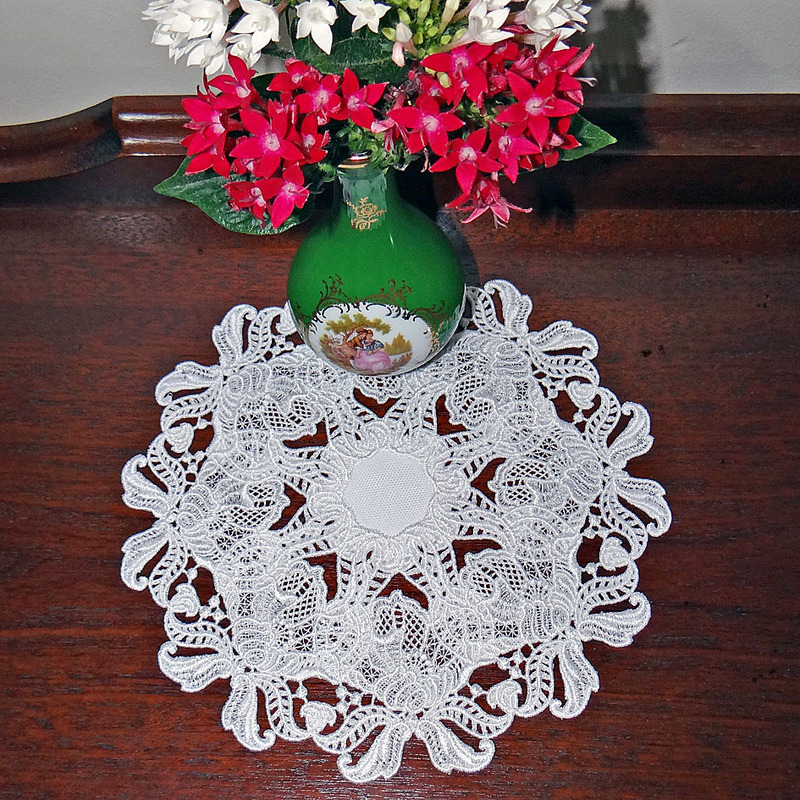 Love free-standing lace and I have used a design originally made for creating a lace bowl. Instead, I have duplicated eight times and rotated it in a circle to create a doily. 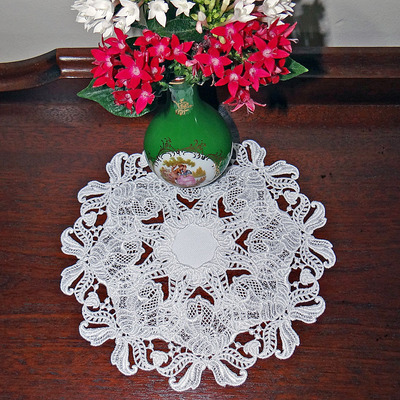 I have used design number 03-Antique Flower design from the Designer Lace collection by Sue Box. Love this one, it is terrific. Beautifully embroidered and very delicate looking. Sandra. Beautiful as always You do wonderful work!